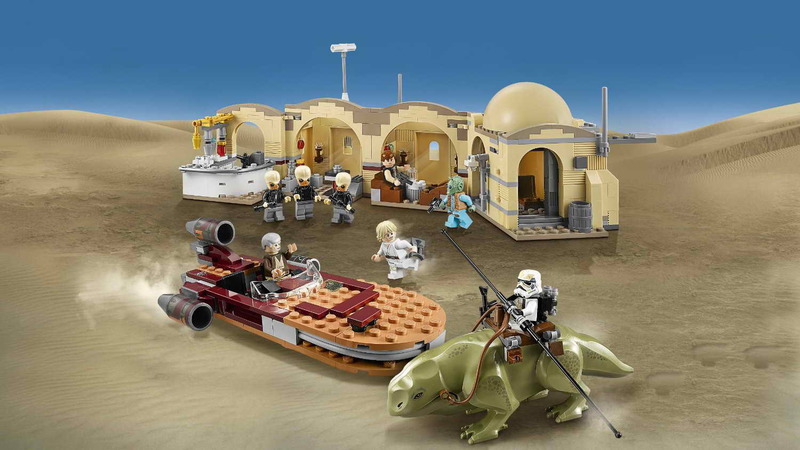 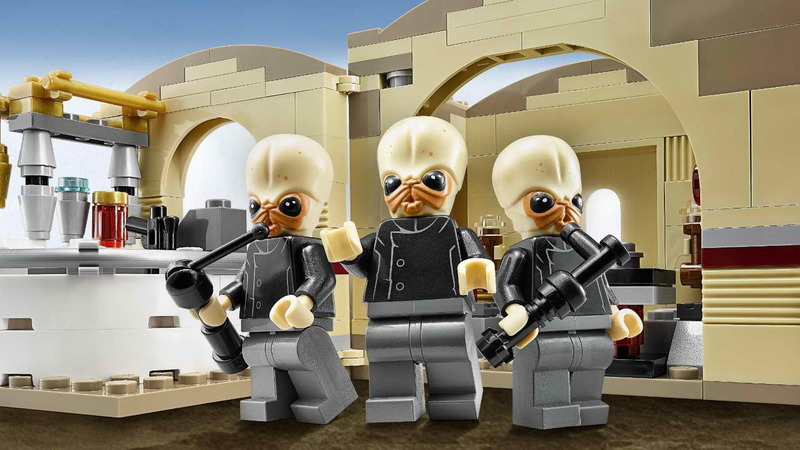 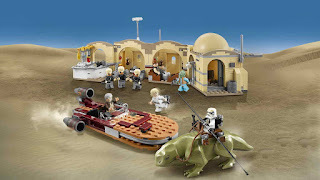 come with the.mos eisley cantina, a landspeeder, a vaporator and a dewback. 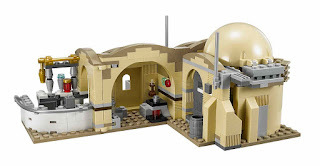 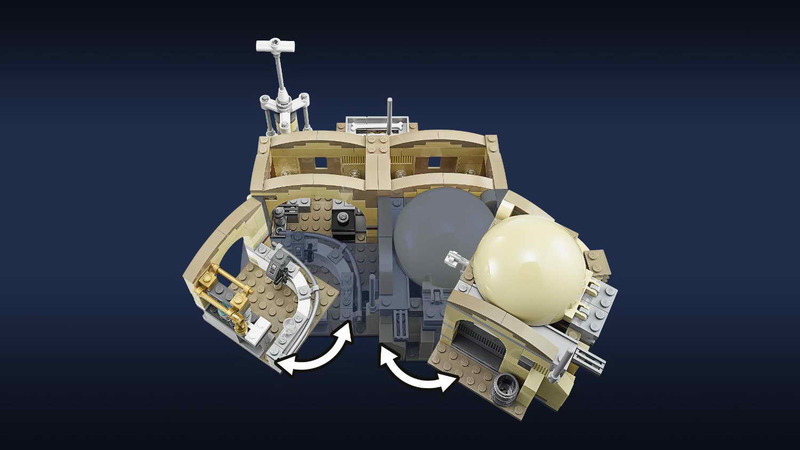 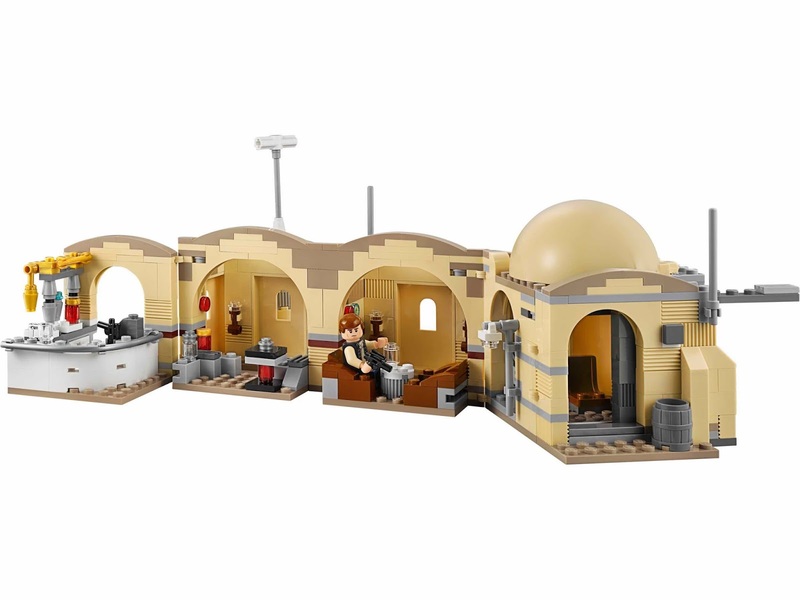 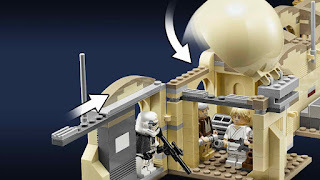 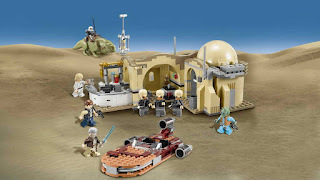 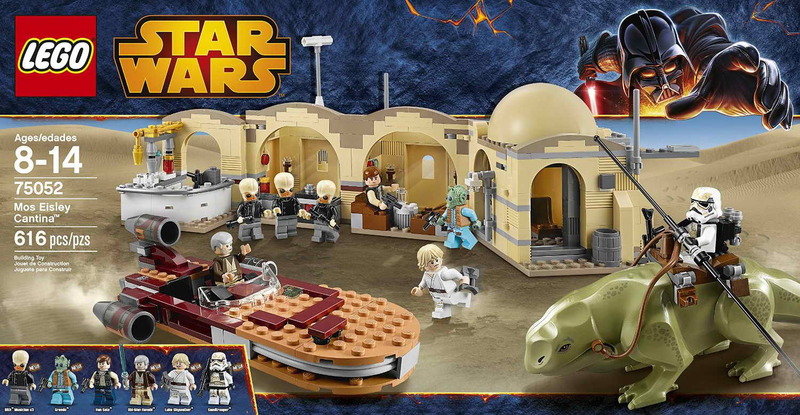 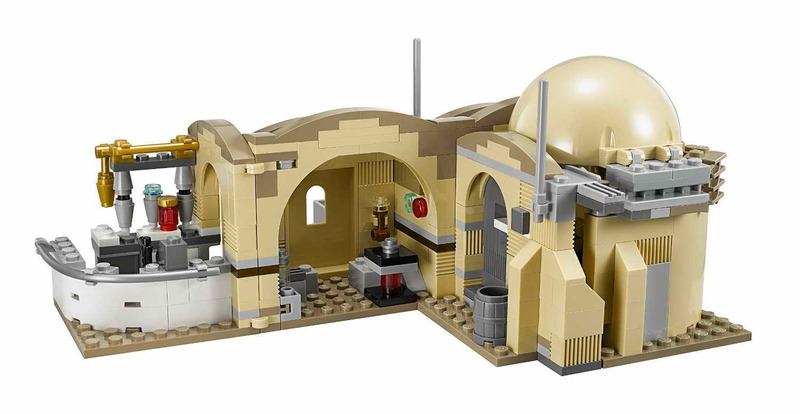 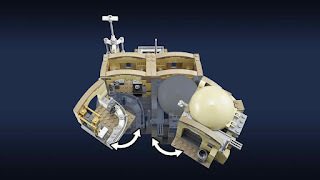 the cantina has a dome roof, a sliding door entrance, a droid scanner, an openable roof, slide out floors to the middle rooms, a bar, shelves, money, bottles, the bith band stage, seats, a table and windows. 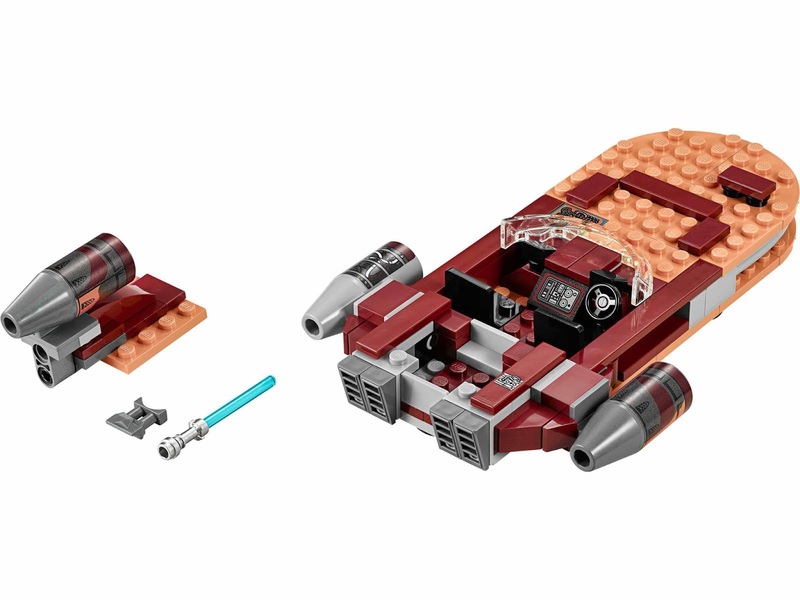 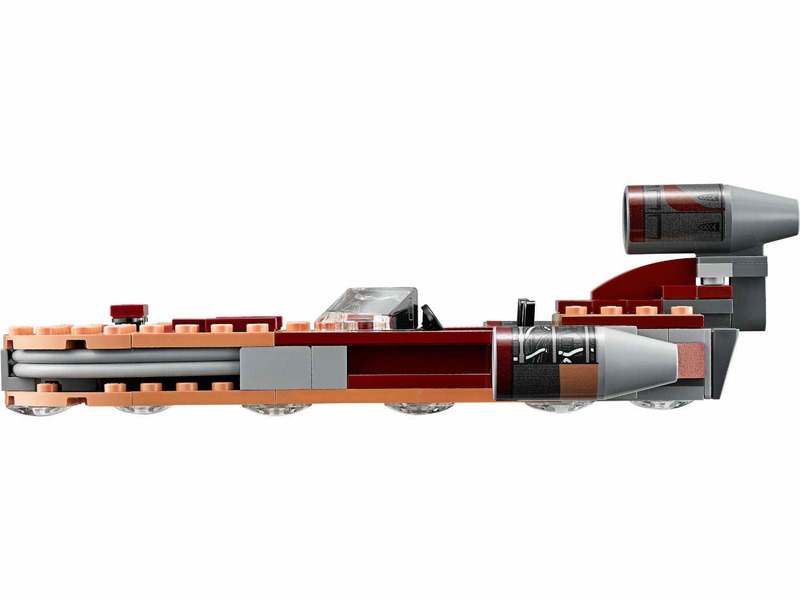 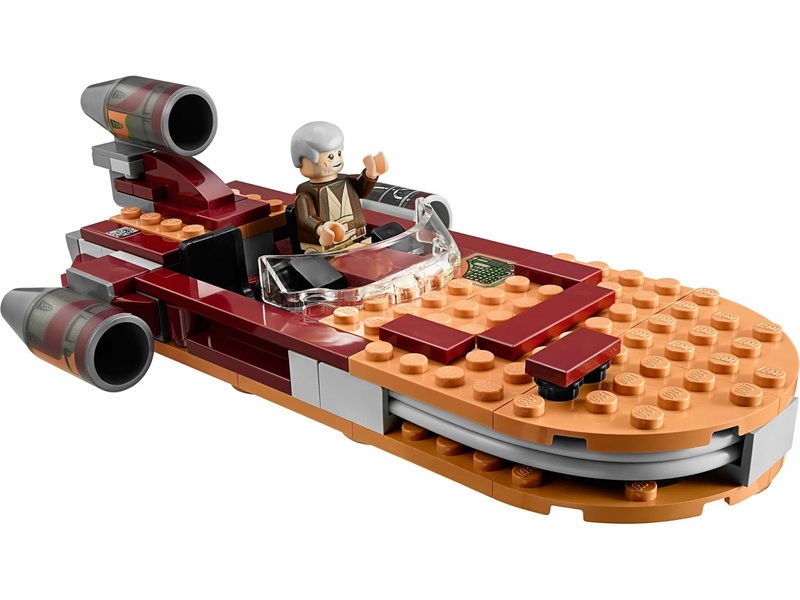 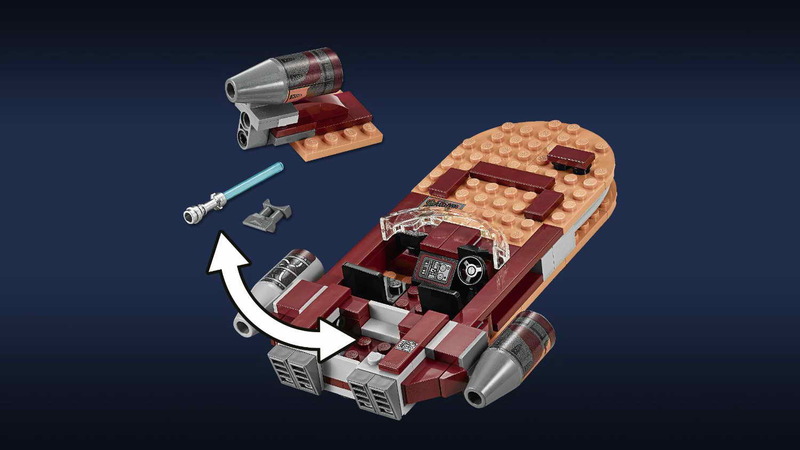 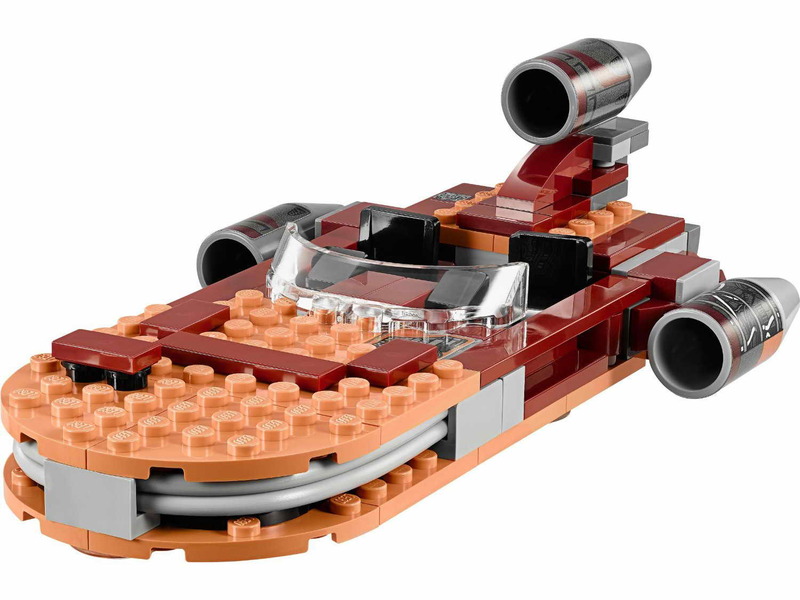 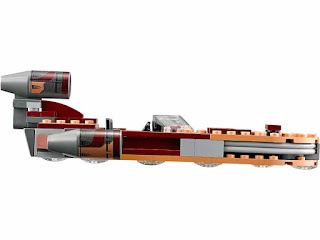 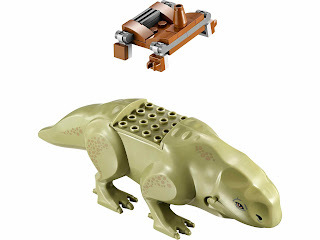 landspeeder has a dual cockpit, a windscreen, 3 big engines and a trunk. 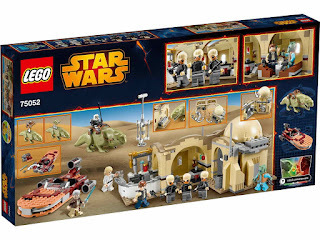 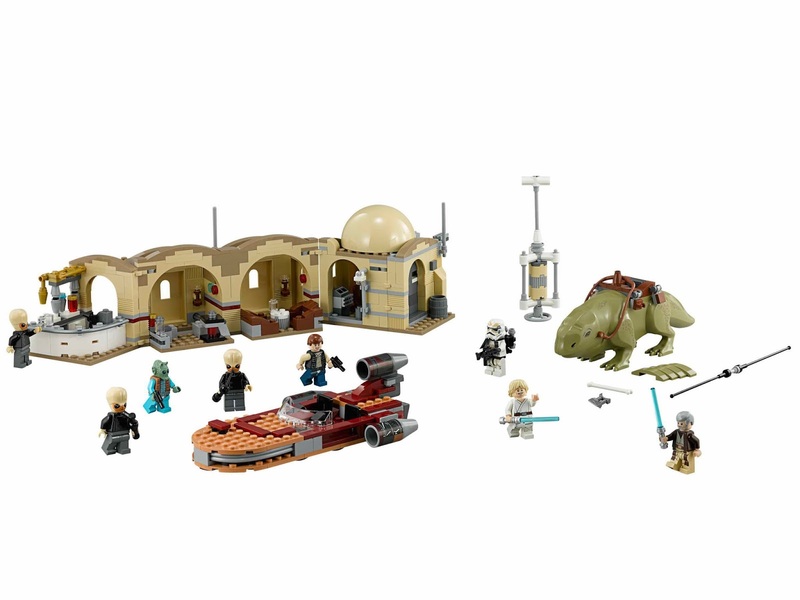 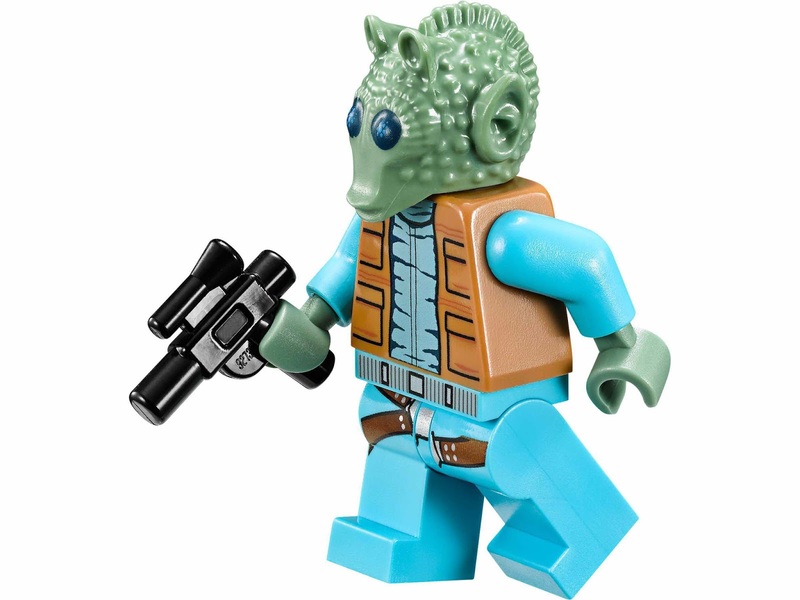 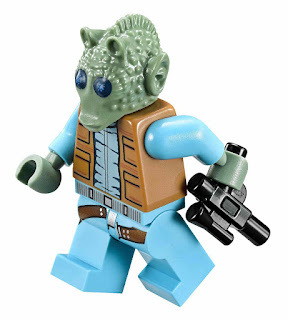 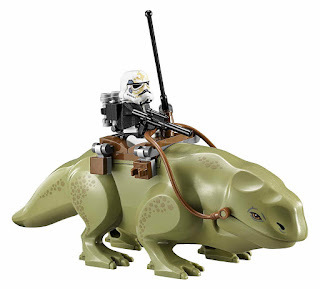 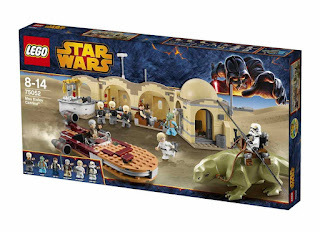 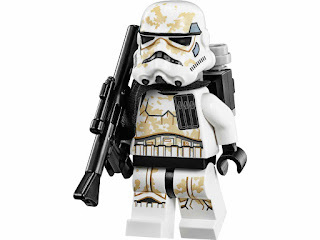 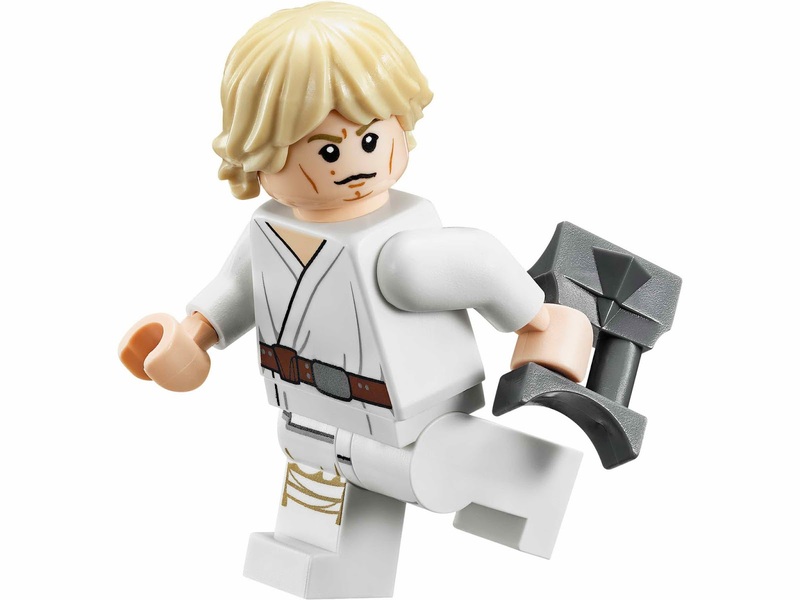 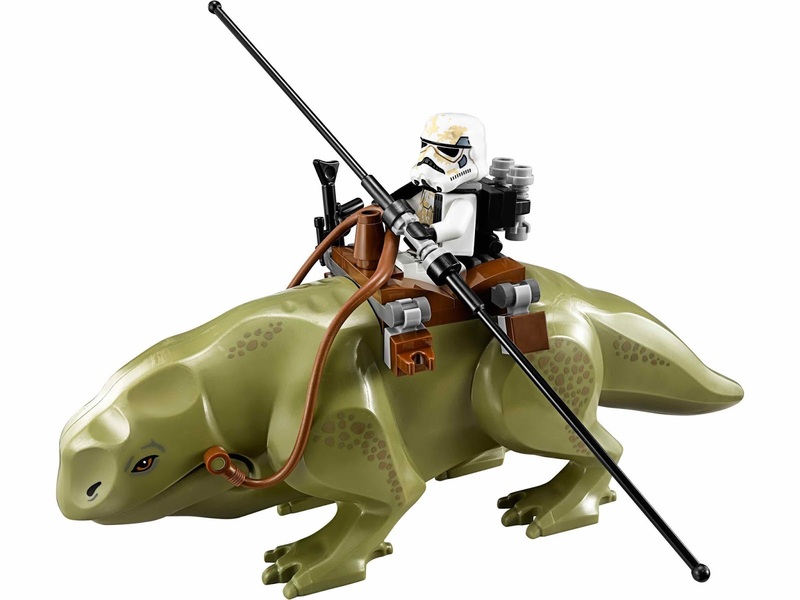 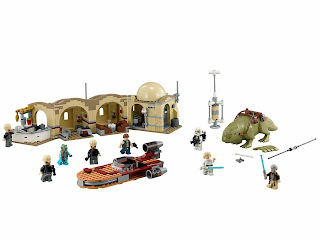 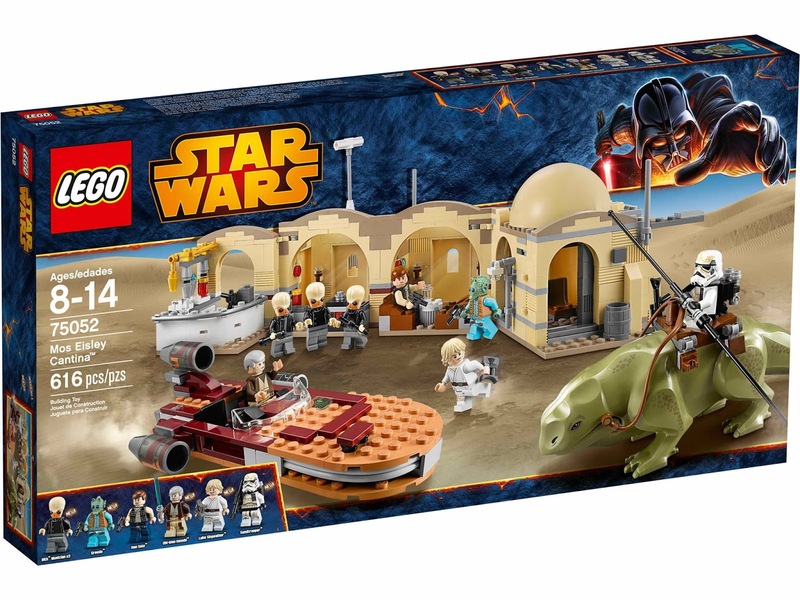 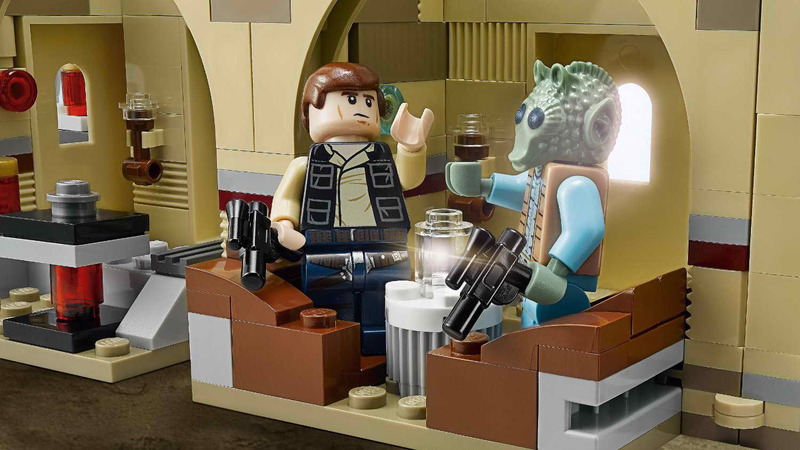 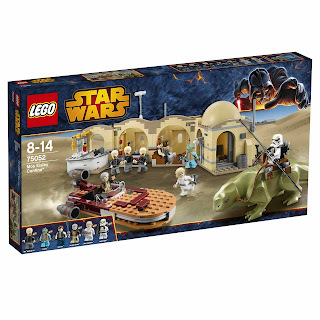 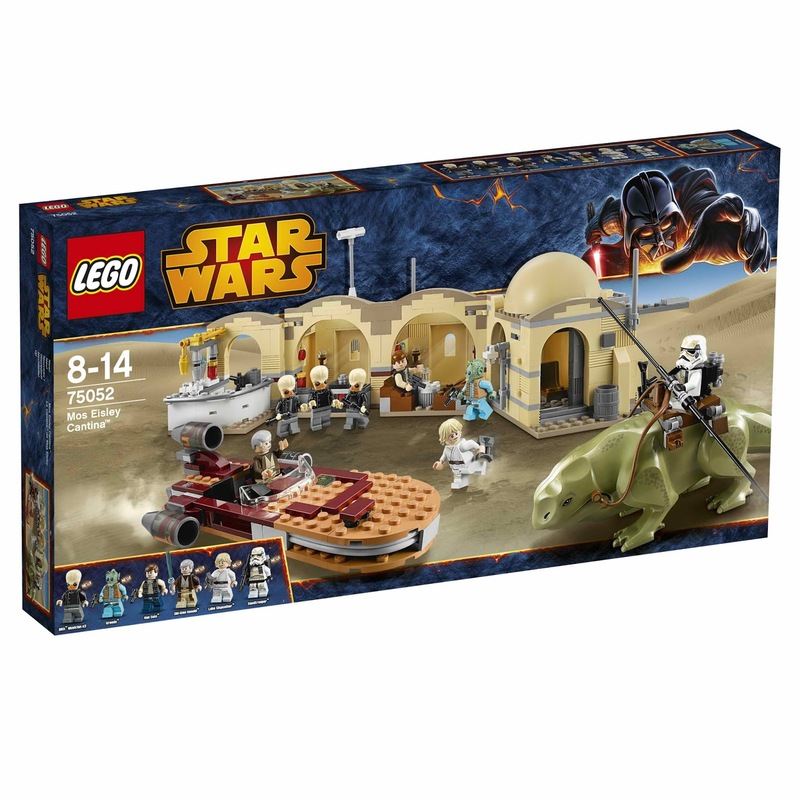 minifigs included a han solo minifig, a luke skywalker minifig, an obi wan kenobi minifig, a greedo minifig, a sandtrooper minifig and 3 bith musician minifigs.